Portable FlexPendant programming unit etc. It was also equipped with a C.M.T. welding robotic assembly (Cold Metal Transfer). 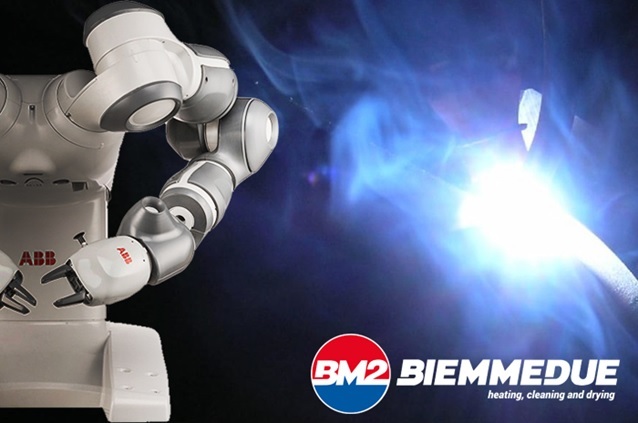 Biemmedue is very attentive to any new technology and thus aligns itself with a very important Trend in our country: Italy is in fact the top ten of the world’s largest industrial robot manufacturers, according to data from the International Federation of Robotics (IFR) Which recognizes our country’s sixth place in the world rankings behind China, South Korea, Japan, the United States and Germany.